The new iPhone 8 is expected to hit the smartphone market in September, and it might include gesture or facial recognition technology. Apple wants to make sure that its new flagship phone will be unique. As such, the facial recognition feature will most likely work based on two laser and infrared sensors which will be attached near the selfie cam. Ming-Chu Kuo, an analyst with KGI Securities, has previously said that the iPhone 8 might come with advanced biometric capabilities, such as iris scanning or facial recognition. Other analysts believe that the tech giant wants to replace the standard fingerprint sensor (Touch ID) in the current iPhones with facial recognition. Also, the company may change its mind and retain the Touch ID sensor. In other words, the iPhone 8 would have two verification systems which would increase security. It is worth mentioning that no other iOS device is powered by facial recognition capabilities. Besides the added security, this new upgrade will also enhance other features, such as augmented reality (AR) camera functions. In addition to this, rumor has it that the new Apple device will come with gesture recognition as well. In this case, we can safely assume that the new iPhone 8 will take user experience to the next level. With gesture recognition, the users will be able to control their smartphones with a few simple gestures. For instance, this feature will come in handy for users who want to turn the volume up or down while listening to their favorite songs. All things considered, it’s no longer much of a surprise that Apple is heading towards a broad augmented reality experience. Capabilities such as facial recognition and gesture control represent just the beginning of a new series of impressive upgrades which will be introduced in future Apple devices. 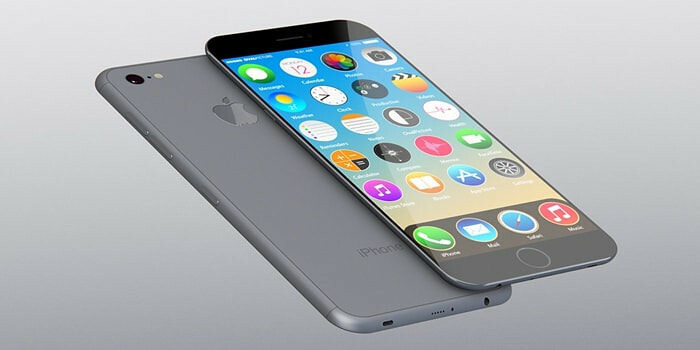 Some experts believe that Apple will launch three iPhones this year. The standard models will come with 4.7-inch and 5.5-inch displays, whereas the higher-end variant will have a 5.8-inch OLED screen. Another much-awaited feature is wireless charging, on which the company has been working for some time. Although the latest Samsung devices already provide wireless charging, Apple might surpass the Korean company with the new AR capabilities introduced into the iPhone 8.